The beams and the slabs of a composite structure act jointly as an integrated floor system to resist progressive collapse. Ignoring the composite slab’s contribution to strength and ductility will result in significant underestimation of the vertical force resistance. 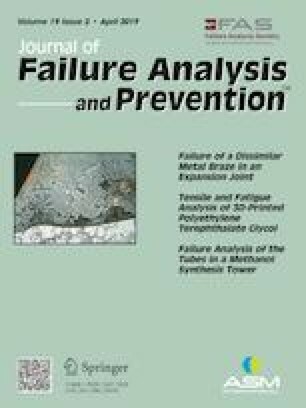 In order to investigate the effect of composite slabs on the failure mechanism and the distribution of the resistance, a series of simulation and theoretical studies have been conducted on the progressive collapse of beam–slab substructures by removing corner column. This article discusses the contribution of several mechanisms on the load-carrying capacity. It is found that the composite slab can significantly improve the progressive collapse resistance of the composite structure. Under catenary mechanism, the peak load of the beam–slab specimen is approximately 1.15 times the beam specimen. In addition, the maximum angle in the beam end of the beam–slab specimens reaches 1.33 times that of the beam specimen. The progressive collapse process of the structure can be sectioned into four stages which are the elastic stage, the elastoplastic stage, the plastic stage and the collapse limit stage. Before the elastoplastic stage, the collapse resistance is contributed by the flexural strength of the composite frame. Sometimes the longitudinal shear bearing capacity of the composite slab will significantly affect the flexural strengths. After the elastoplastic stage, the collapse resistance is mainly determined by the catenary mechanism of the beams and tensile membrane action of the steel sheet. This study was financially supported by the Natural Science Foundation of China (51178098). This support is gratefully acknowledged.